Giuseppe Merone began working at the young age of ten in a restaurant, located in Naples, Italy. He immersed himself in every part of the restaurant business and began experimenting with various recipes. Giuseppe "Joe" Merone loved to cook and would stay up through the night experimenting with his ideas. He had an aspiration to open his own restaurant business. When he was sixteen a close group of friends invited him to America to visit their restaurant. He was afforded an opportunity to show them his culinary skills; so impressed with his capabilities, they hired him. He was everyone's favorite employee and one day was asked to work in the front of the house. He had a limited knowledge of the English language but with the help of fellow employees and guest, he was able to become proficient in a year. After mastering all the skills required to run the restaurant, he was more certain that owning his own business was what he was meant to do. With the help of his brothers and the support of family, Buon Appetito began. From there expansion has encompassed multiple locations and a catering business including everything from Weddings, Corporate Events, and In-Flight Catering. The life Giuseppe has built for himself and his family is a grand example of the American Dream. With the opportunities he has been presented with, Giuseppe feels strongly about giving back to the community. With fellow members of The Sons of Italy, they were honored by President Bush for their major contribution to Breast Cancer Research. 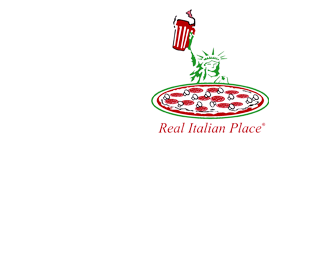 He is proud to be an Italian-American Businessman and Patriot. "Eggplant Parm just doesn't get any better. And everyone is so nice! "Antonio always takes good care of us. We especially enjoy the fresh salads!" Merone's Catering operates out of 15,000 square feet of kitchen and office space. 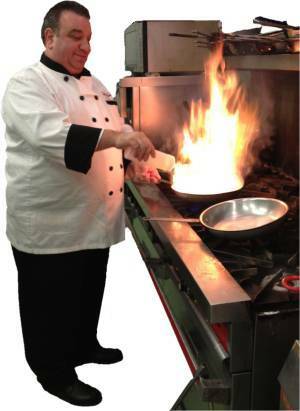 With 20 years of experience as an executive chef, proficient in a variety of international cuisines, Giuseppe Merone has brought with him the essence of Italy - fine dining, fine food, and fine company. The staff at Merone's Catering is committed to providing you with the widest variety of food selections. We use only the freshest, highest quality ingredients prepared especially for you. Contact us at our Dulles location (703) 661-1463 ext. 3 or at our Chantilly Location (703) 263-2060 for more information, or email us at catering@merones.com.